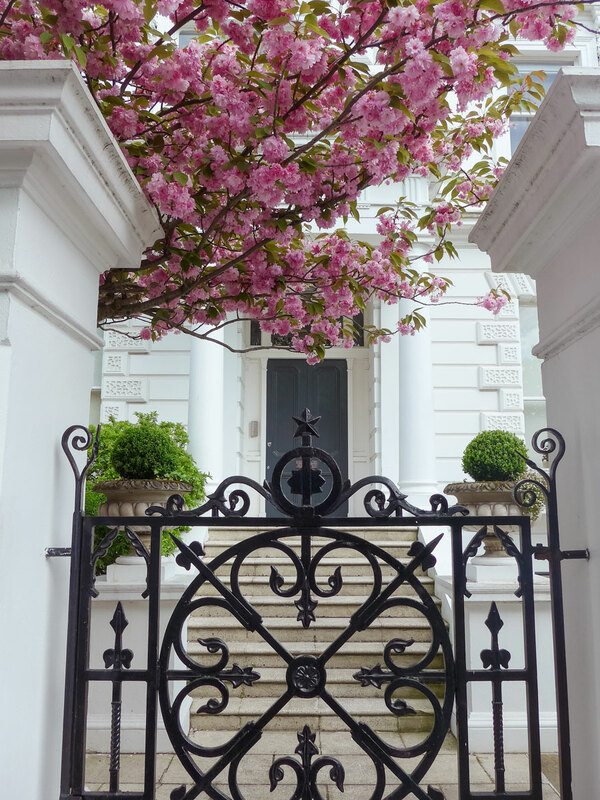 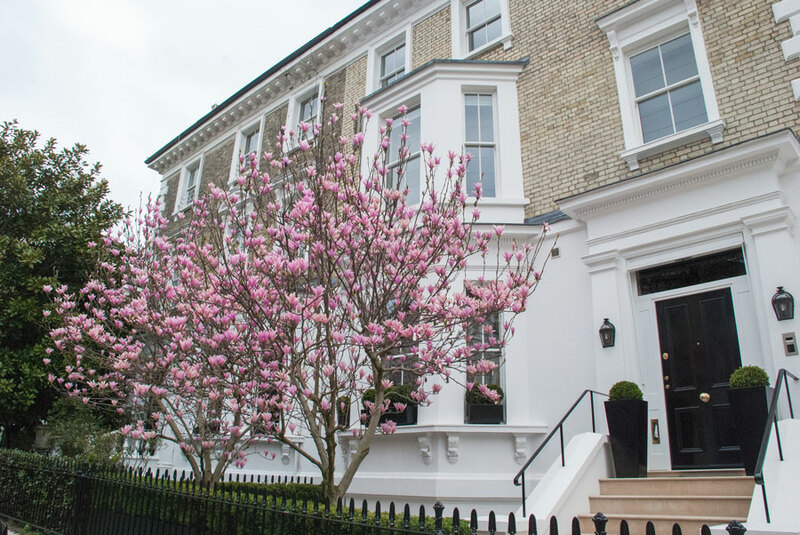 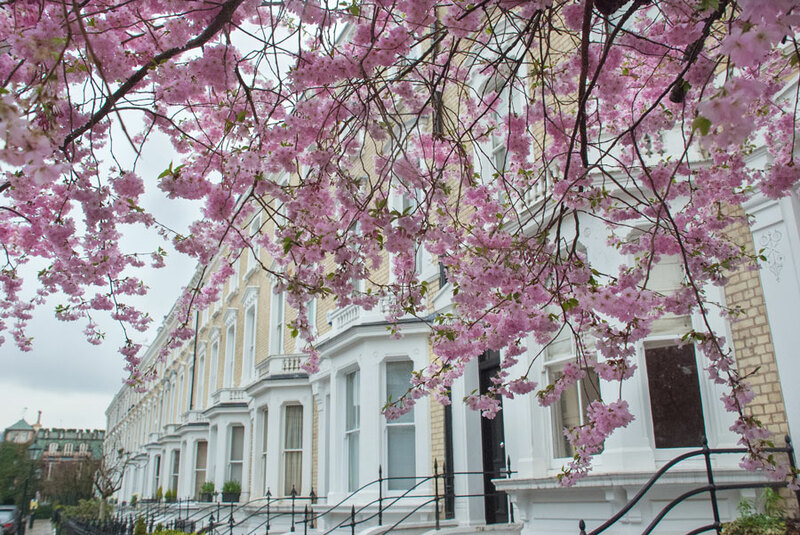 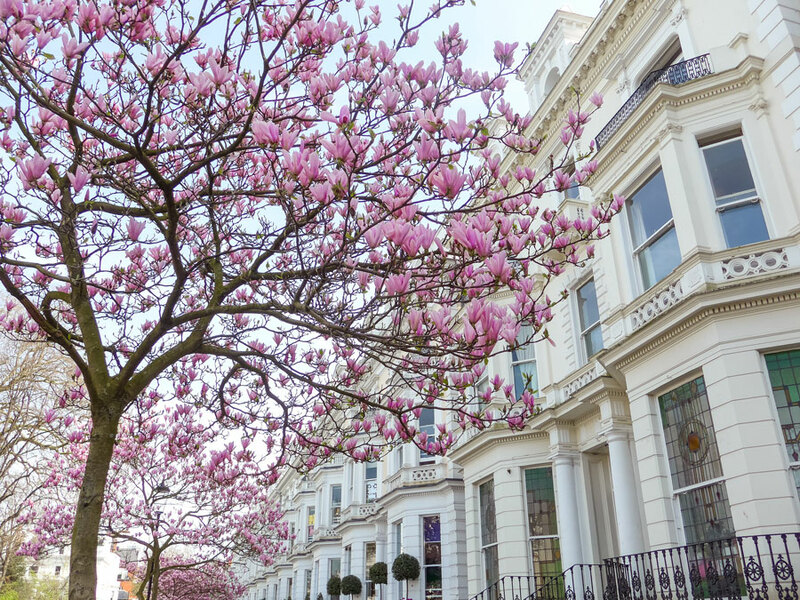 London in Spring is a sea of Cherry Blossom and Magnolia. 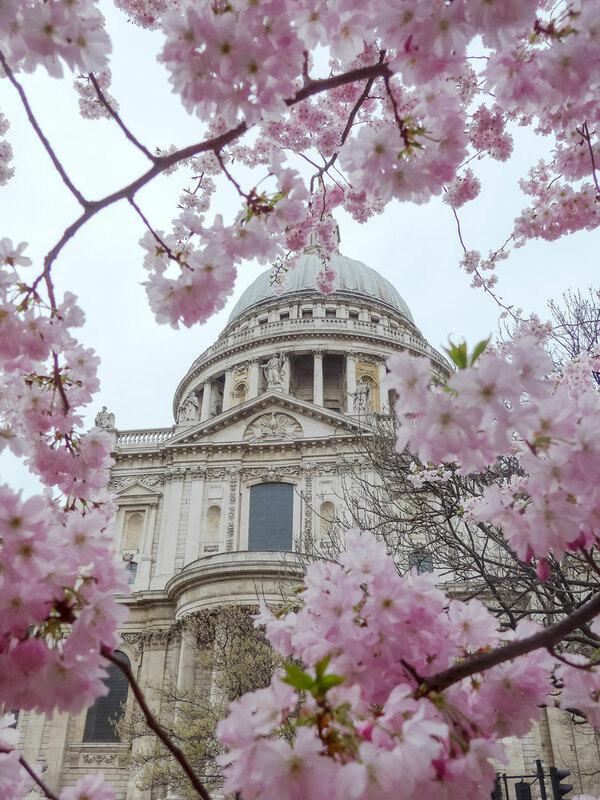 For a few short weeks, the city turns pink before the petals rain down on the streets signalling warmer days ahead. 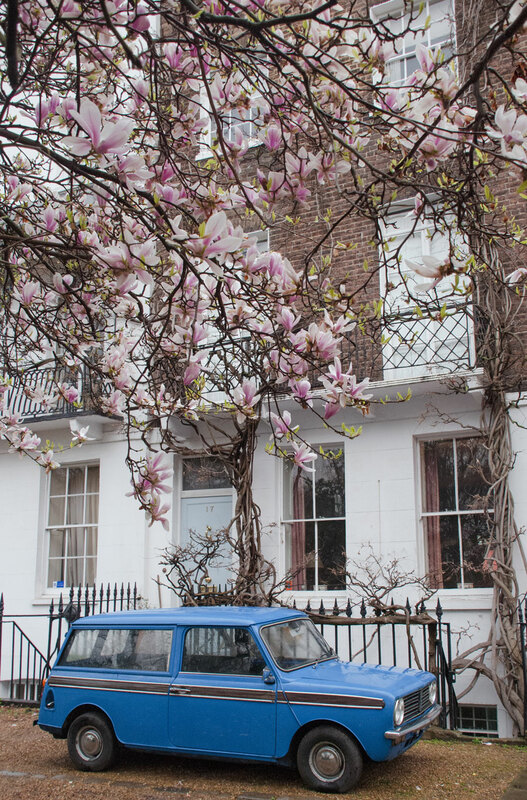 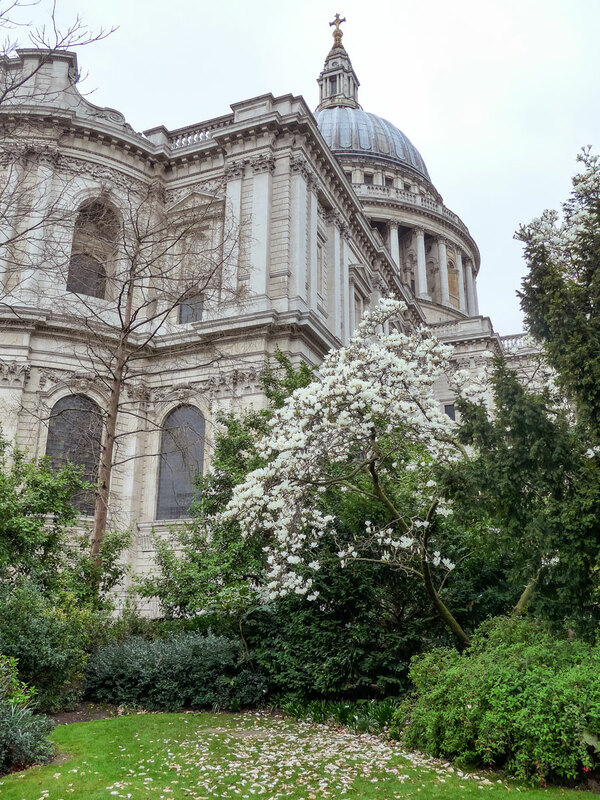 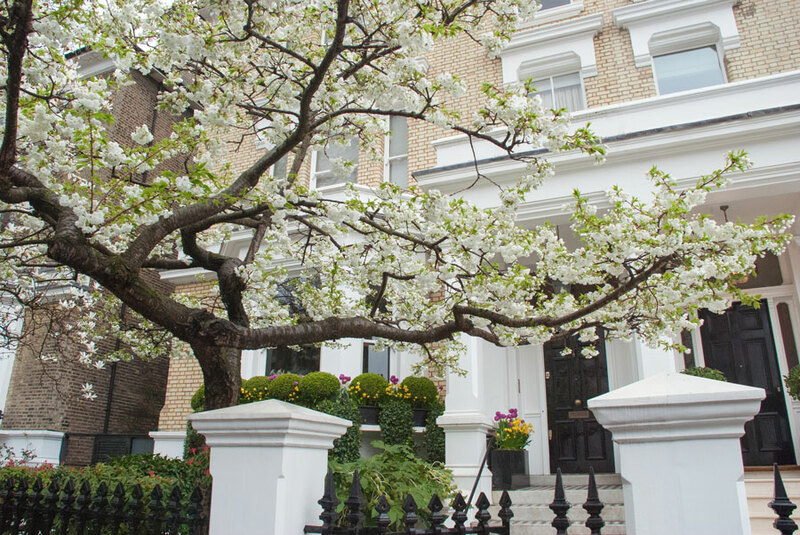 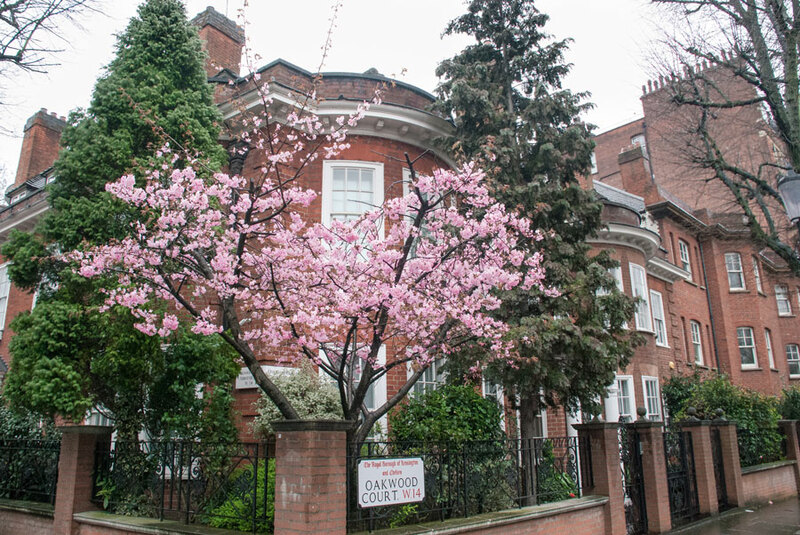 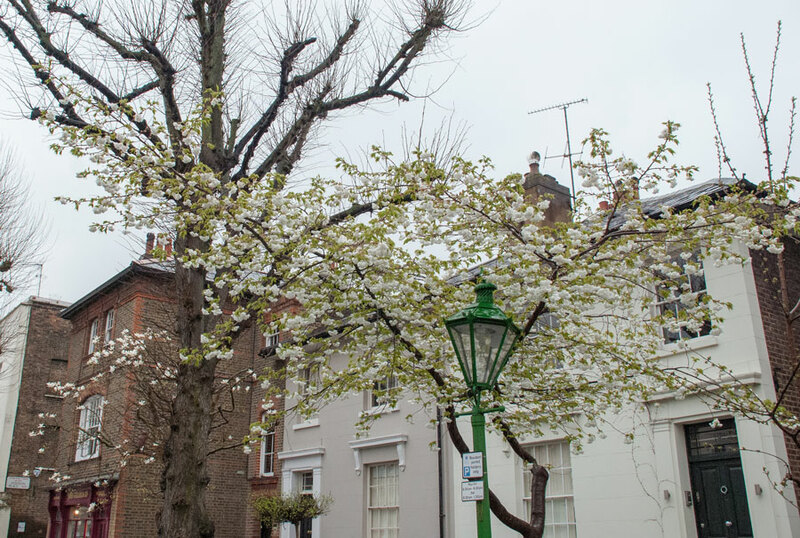 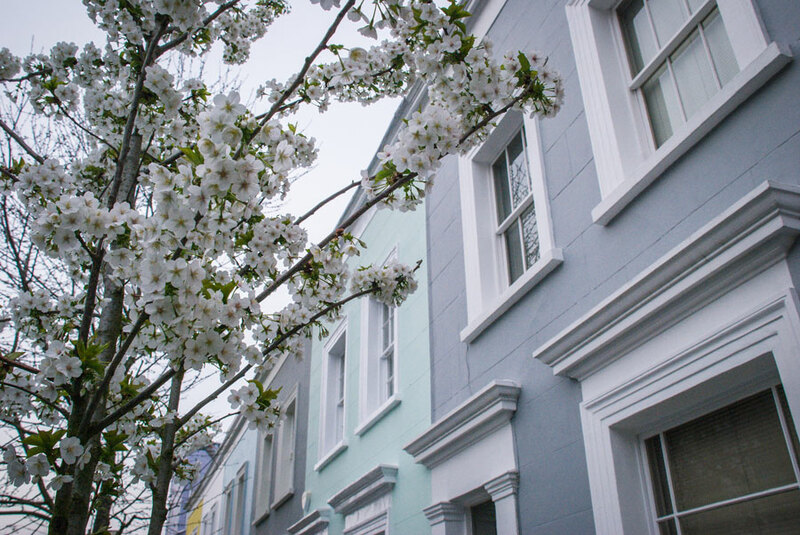 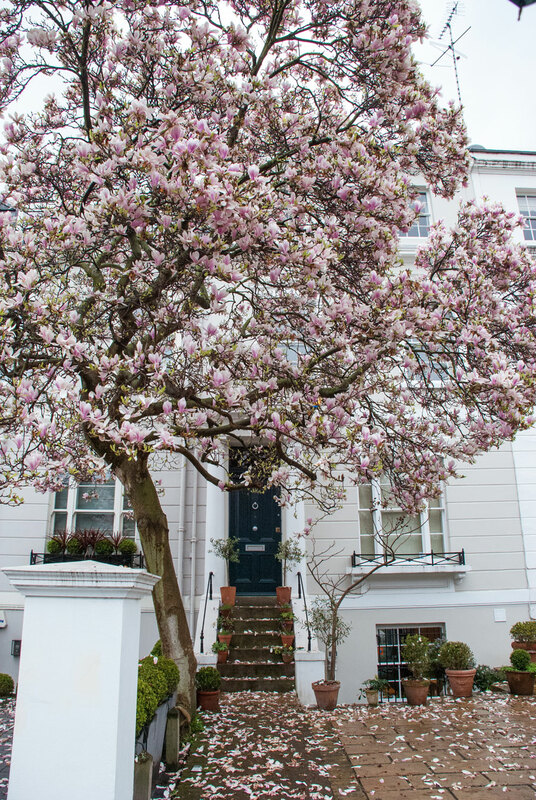 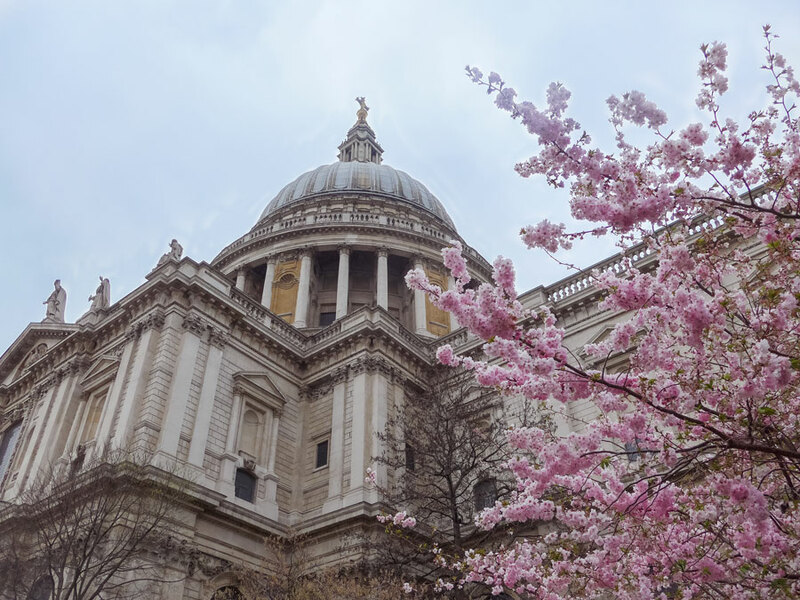 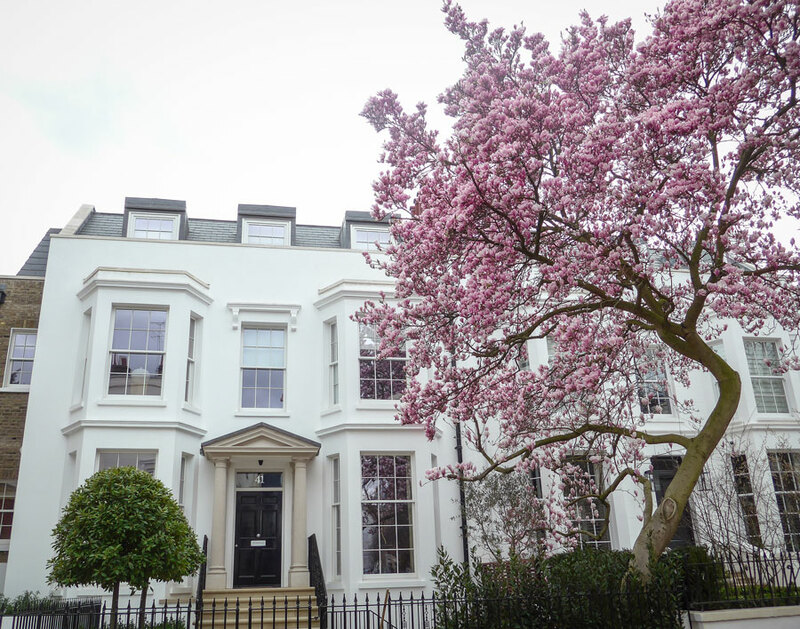 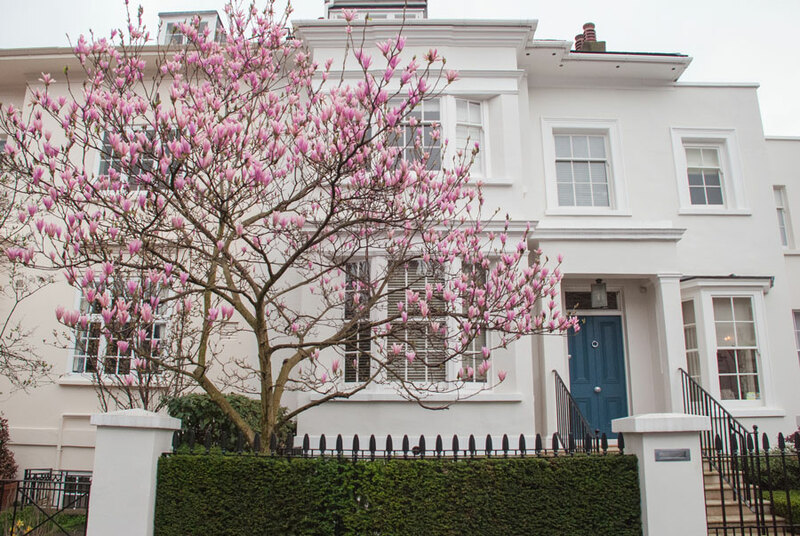 Here are some of my favourite places to see Blossom in London! 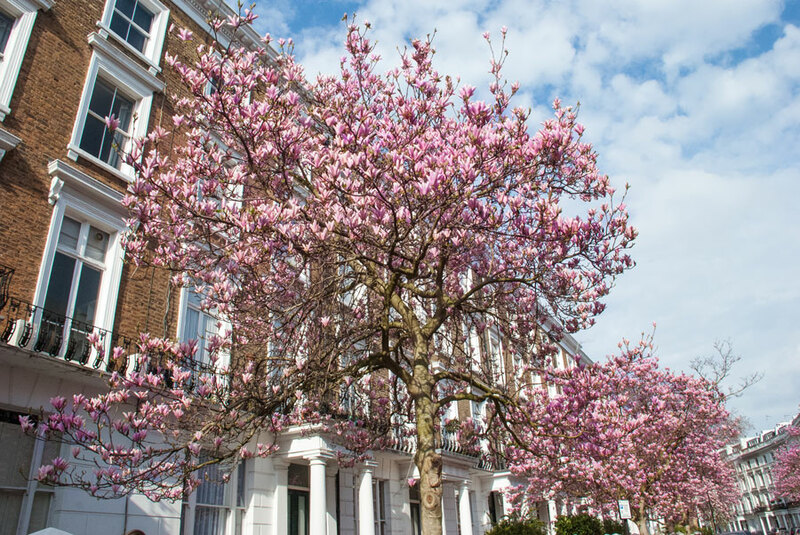 This list is in order so that you can easily walk between each blooming street in the most efficient way. 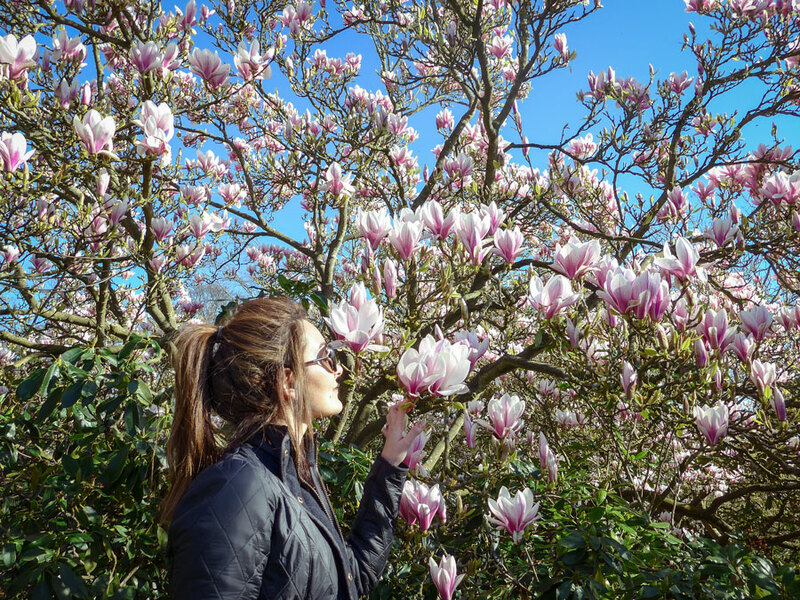 Visiting all of them will take you about 3-4 hours, not including the time you spend appreciating the blossom! 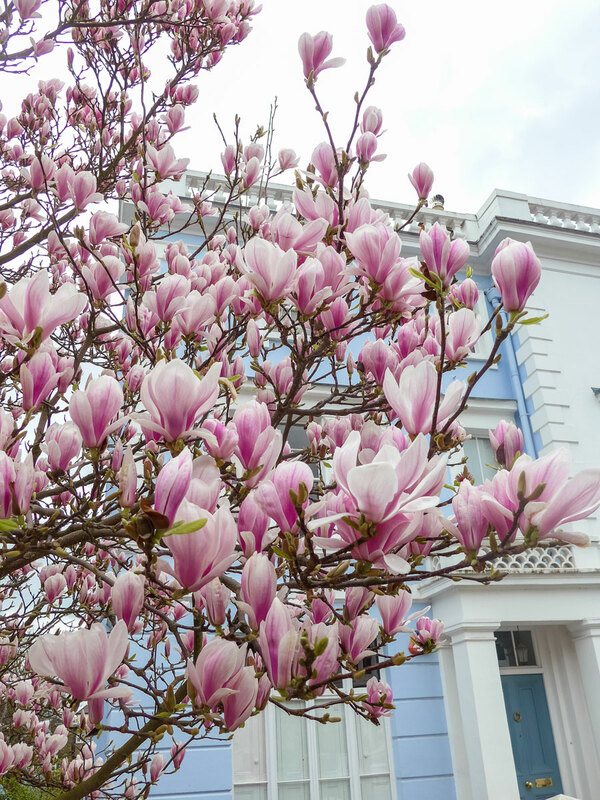 So why not make a day of it, go for a long stroll, stop for lunch somewhere delightful along the way (so many options! 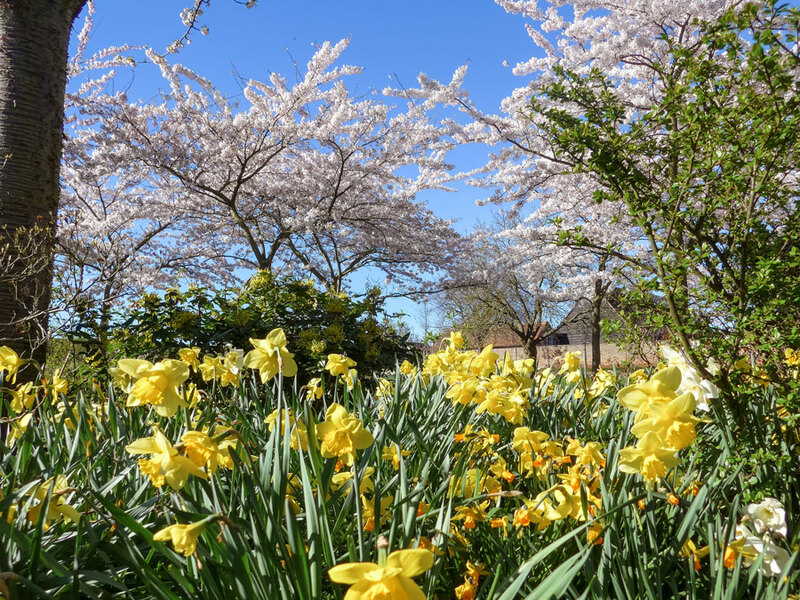 ), and get your fill of flowers before they disappear until next year. 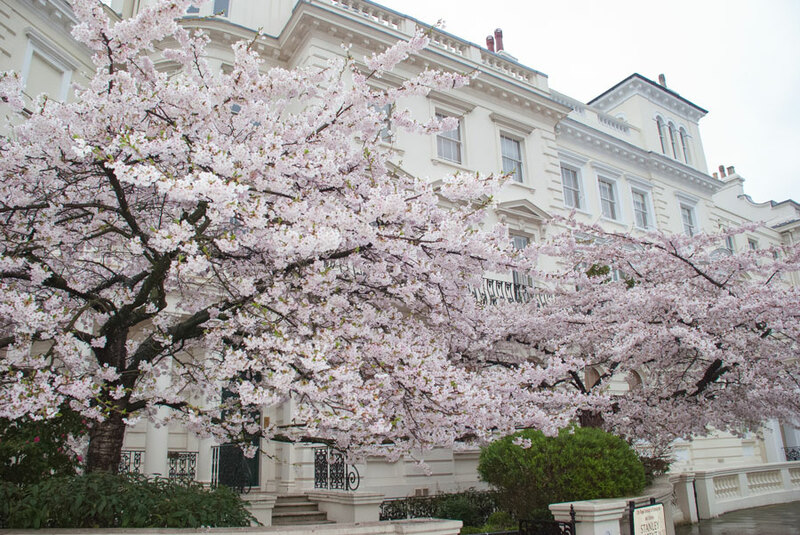 The trees tend to be in flower between March and May, depending on the weather. 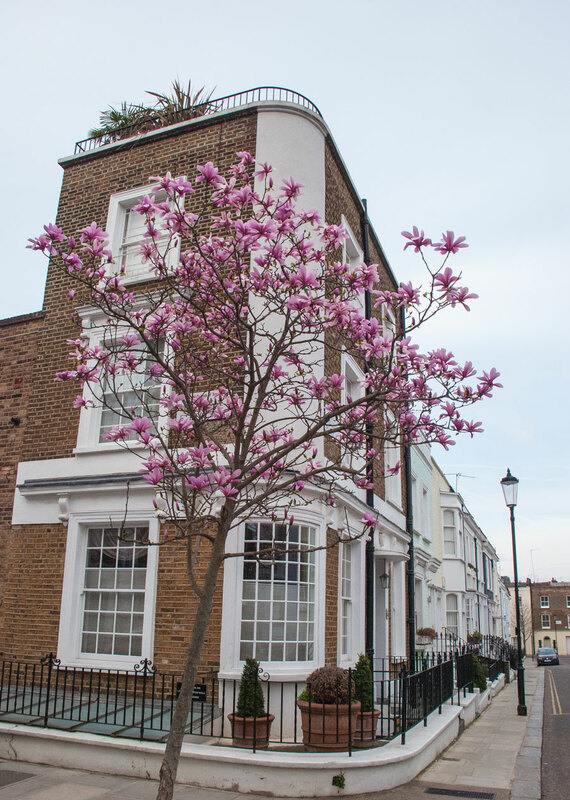 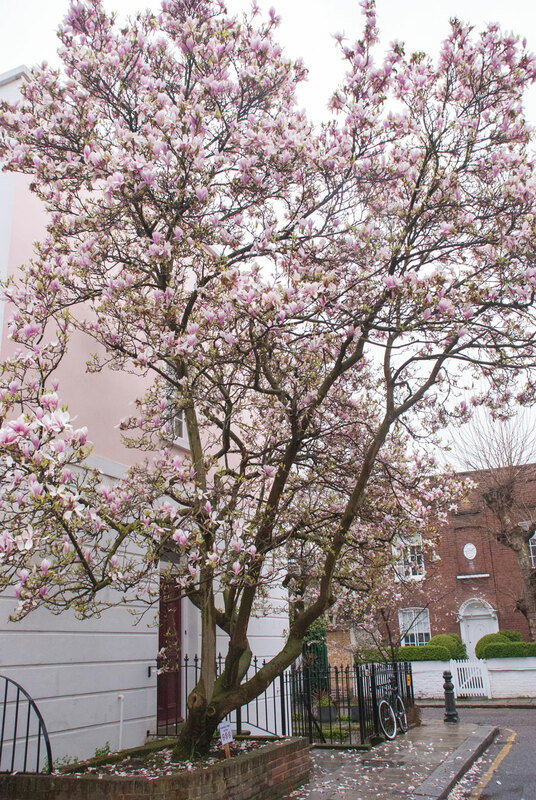 Although, some Magnolia trees flower twice a year with a second, slightly less spectacular bloom in the summer time. 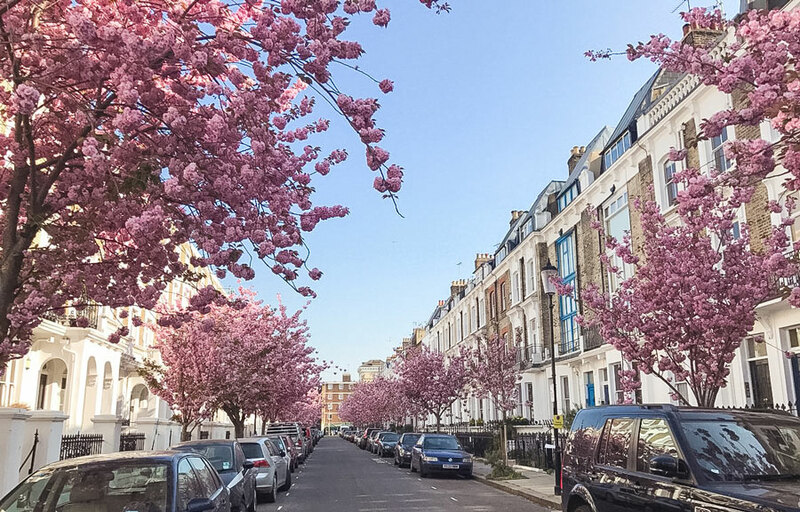 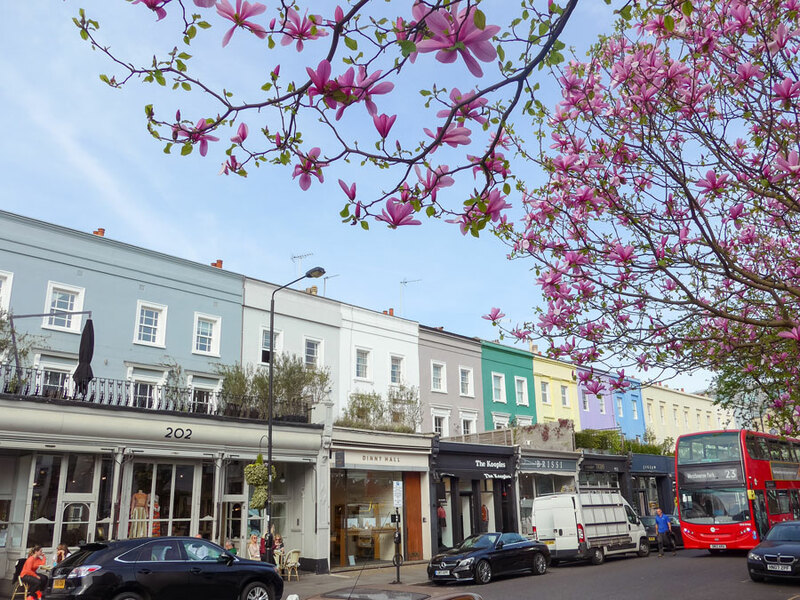 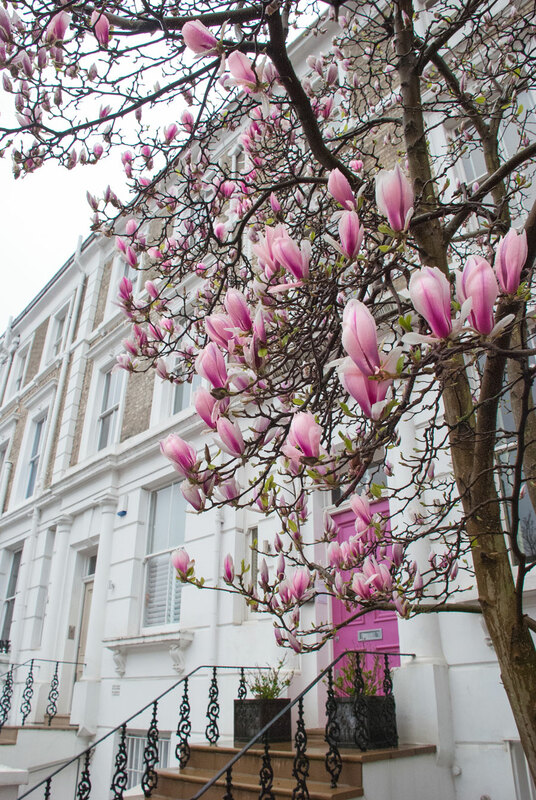 Special Mentions which aren’t in West London but are gorgeous in the Spring!